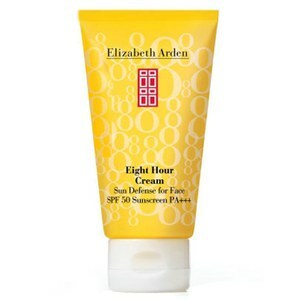 Winner of the Shape Magazine's Sun Smart Awards May 2009 for Best Sunscreen for Dry Skin, with all you love about the cult classic Eight Hour Cream but now in an intensive sun protection with High Protection SPF 50. We all enjoy the sun, sand and beach but they all take a toll on the look and feel of your skin but now you can all the benefits of Eight Hour Cream while protecting and preserving your skin from the harmful effects of the sun. This specially formulated sun shield, safeguards skin from sun exposure in a lightweight, oil-free lotion, protecting and hydrating for up to 8 hours. SPF 50 helps shield skin from harmful UVA/UVB rays that can cause sunburn, surface skin cell damage and premature signs of aging. A must have for the ski holiday or summer beach bag. 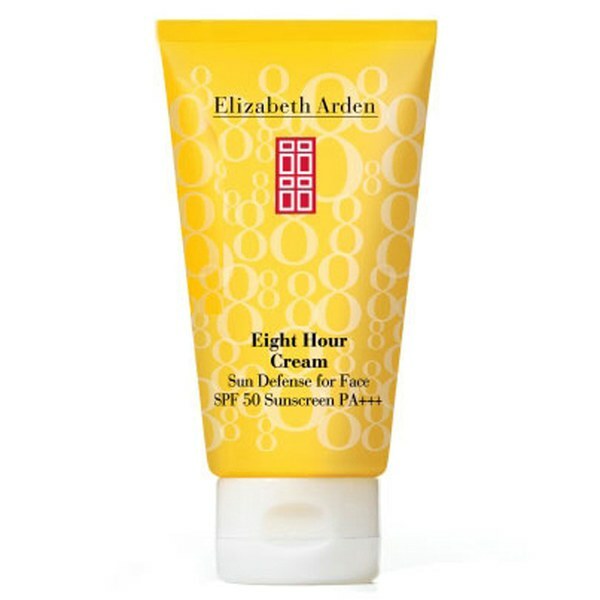 SPF50 protects against powerful UVA/UVB rays that cause sunburn and premature signs of aging. Lightweight covers skin evenly with no visible white residue. Benefits the power of Eight Hour Cream, PABA and Fragrance Free.